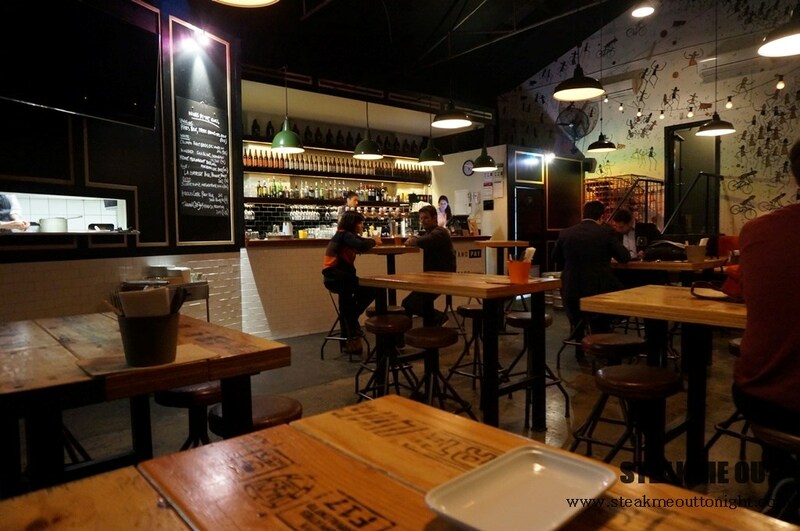 Named after Markov Place, Markov is a bar and dining hall that runs from Drummond to said place. It’s ergonomic, and a little bit cool with white brick, normal brick, pressed wood and an altogether mad vibe. I saw Fried chicken wings with hot sauce and ranch on the menu and knew I needed to eat them. 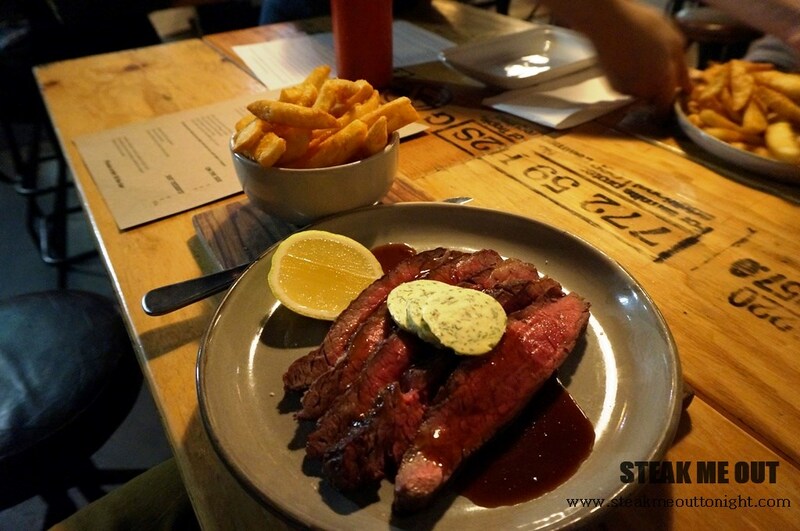 For the main I ordered the 300g pasture wagyu flank (rare) with fat chips and the garlic butter and jus on the side. My friend got their wagyu burger with beer pickles and relish. 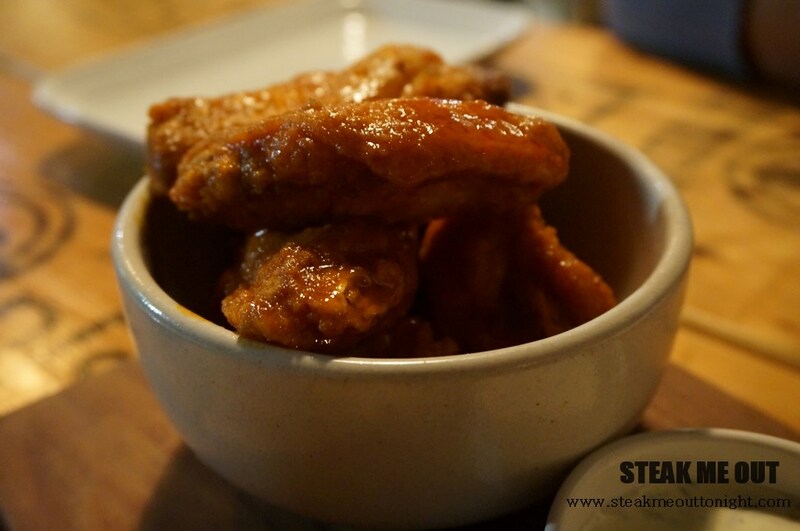 The chicken wings were delicious, hot, tangy and crisp. A fantastic starter and something I would definitely order again. The steak and burger came out shortly after, the waitress mentioned the chef made a mistake and put the butter and jus on top instead of on the side. She said they could make another but it would be a 20 minute wait. I was hungry and I just went with it. The steak was served cut and had nice visible marbling, cooked to perfection and charred well. 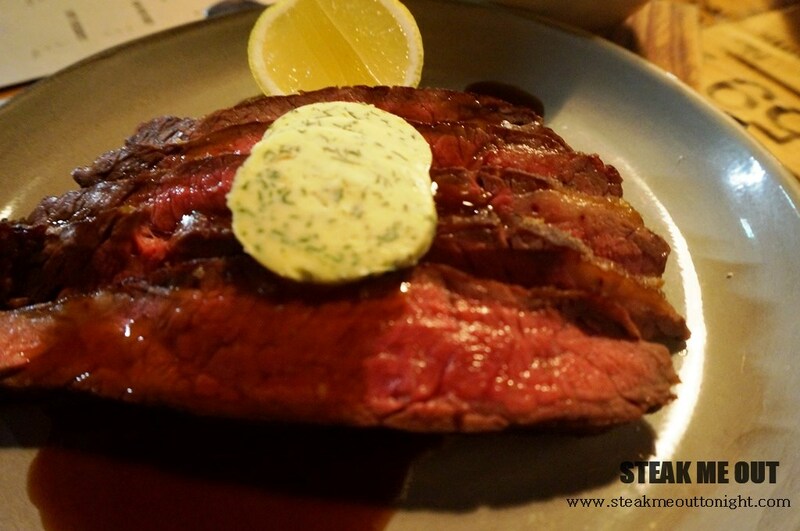 The flavour of the steak was good, beefy and seasoned well with both the sauce and butter going wonderfully with it. Being a flank I knew it wasn’t going to be overly tender but was still reasonably so. 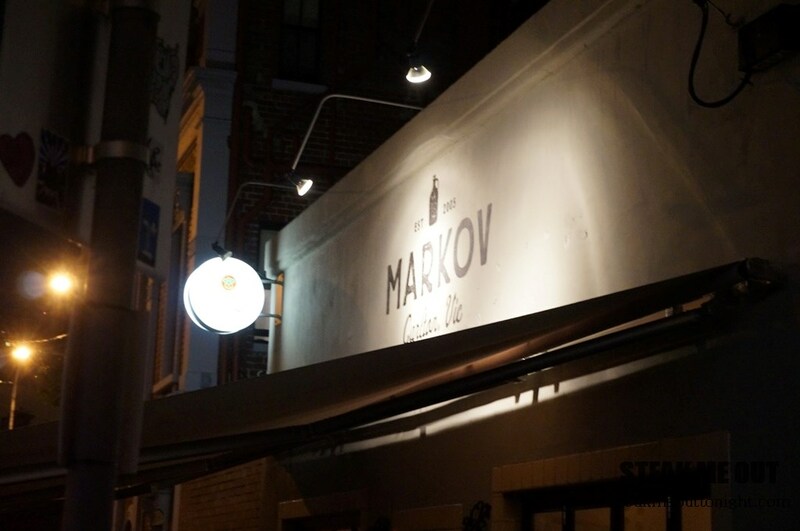 For $34, Markov is putting out a great steak in a place with an equally great vibe. I will be back soon that’s for sure. 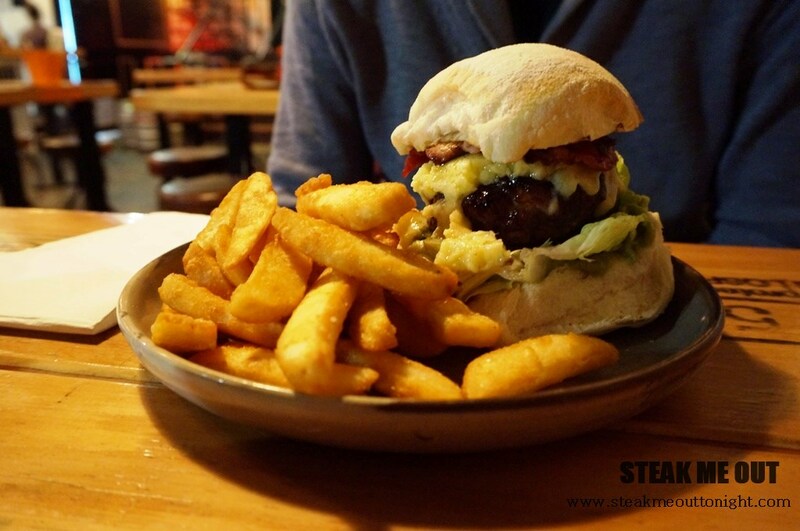 Posted on August 13, 2014 October 13, 2015 by AdrielPosted in Melbourne, SteakTagged Burger, Flank, Great, Hot wings, Melbourne, Moderately Priced, Steaks, Wagyu.